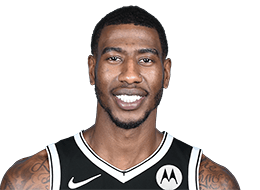 THE FLATS –Derrick Favors and the Utah Jazz will face Iman Shumpert and the Rockets in round one of the NBA playoffs and Josh Okogie ranks third among rookies in steals… That and more in this edition of the Georgia Tech #ProJackets Basketball Report. Thaddeus Young sat out for the Pacers’ final regular season game due to rest. The Pacers sit in fifth place in the Eastern Conference and are set to match the Boston Celtics in round one of the NBA Playoffs. 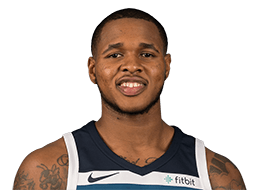 For the season, Young has averaged 12.6 points per game. Shumpert and the Rockets finished the regular season winning eight of their last 10 and finished with a 53-29 record. Shumpert has averaged 7.5 points per game as well as 3.0 assists each contest. In round one of the NBA playoffs, the former Yellow Jacket will battle it out with other former Yellow Jacket, Favors, and the Utah Jazz. The Jazz have won eight of their last 10 games locking down the fifth seed where they will match up with Houston Rockets. Favors has averaged a steady 11.8 points and 7.4 rebounds per game outperforming his career averages. For his career, Favors has averaged 11.6 points and 7.2 rebounds per contest. 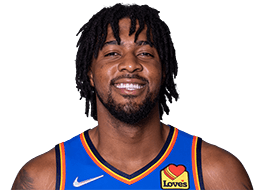 Favors also ranks 13th in the NBA in rebounds per game with 1.4 per game. Okogie and the Minnesota Timberwolves finished the regular season in 11th with a record of 36-46. 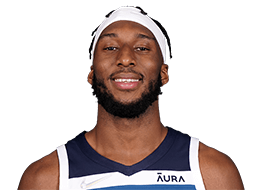 Okogie has been an impact all over the court for the Timberwolves in his rookie season, averaging 7.7 points, 2.9 rebounds per game. He also ranks 3rd among rookies in steals (88), 43rd in all of the NBA. 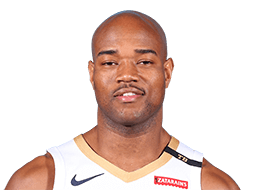 Trae Golden (6’3”-G-91, graduated ’14, plays pro in Russia) led his Russian team Avtodor to a victory over the closely-ranked Stelmet Enea BC (5-18) 112-106 in the VTB United League in Sunday night’s game. He was MVP of the game. Golden had a double-double by scoring 31 points and making 13 passes. He also added 8 rebounds in 35 minutes. Avtodor Saratov (9-13) is placed ninth in the VTB United League. It was his team’s first victory after three consecutive loses. There are only four games left until the end of the VTB United League Regular Season. So now every game will be critical. It’s Golden’s first season with the team. Golden has individually a very good year with high stats. He averages 18.2ppg, 2.8rpg and 8.0apg in 22 games he played so far. Glen Rice Jr. (6’6”-G/F-91, graduated ’12, plays in Argentina) was the major contributor in Instituto‘s victory against the tenth-ranked Boca Juniors (13-13) 94-86 in the Argentinian La Liga last Wednesday. He scored 23 points, grabbed 7 boards, dished 5 assists and stole 3 balls. Instituto Atletico Central Cordoba (16-8) is placed fourth in the La Liga. Rice Jr. has relatively good stats this season 14.7ppg, 4.0rpg, 2.2apg, and 1.7spg. Zachery Peacock (6’8”-C-87, graduated ’10, plays pro in France) could not help one of the league’s weakest teams JL Bourg Basket (21-4) in their last game on Sunday. Despite his good performance, JL Bourg Basket was edged 82-81 on the road by the leading ASVEL Lyon-Villeurbanne Basket. Peacock scored 11 points, had 7 rebounds and dished 3 assists. It’s Peacock’s fourth season with the team. This year he has very high stats. Peacock averages 18.3ppg, 5.0rpg, 2.0apg and 1.3spg. 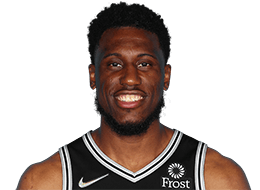 Gani Lawal (6’9”-F/C-88, graduated ’10, plays in Japan) was not able to help Shiga L-Stars in their game against Kyoto Hannaryz (29-25) in the Japanese B League, despite his very good performance on Wednesday night. Lawal had a double-double by scoring 27 points and getting 11 rebounds. He also added 3 blocks in 29 minutes. But the fifth-placed Shiga L-Stars (15-39) lost 84-90 in Kyoto to the second-ranked Hannaryz in the West group. Lawal has very impressive stats this year 20.8ppg, 12.2rpg, 1.6apg and 1.5bpg in 41 games. He is a naturalized Nigerian. Daniel Miller (6’11”-C-91, graduated ’14, currently in Japan) contributed to an easy victory against the fifth-ranked Yamagata crushing them 94-67 in the Japanese B2 League on Saturday night. He recorded a double-double by scoring 19 points and getting the same number of rebounds. Miller has relatively good stats this season 14.6ppg, 11.7rpg, 3.8apg, 1.7bpg, and 1.4spg. Ben Lammers (6’10”-C-95, graduated ’18, currently in Spain) contributed to a RETAbet BB‘s victory against the closely-ranked Ourense 82-70 in the Spanish LEB Gold (second division) on Saturday night. He scored 9 points and grabbed 4 rebounds in 19 minutes. Lammers has relatively good stats this year 10.3ppg, 6.7rpg and 2.2bpg in 29 games. Adam Smith (6’1”-PG-92, graduated ’16, plays pro in Italy) was not able to secure a victory for Orasi RAV in their game against Tezenis VER in the Italian Serie A2 (second division). Despite his very good performance on Sunday night Smith was the top scorer with 19 points. He also added 9 rebounds and dished 5 assists. This season Smith has very high stats. He averages 23.7ppg, 4.0rpg and 2.9apg.